Thanks to technology, we can effectively communicate and collaborate with anyone across the globe without delays. Technology helps us to speed up our work to save time. It is utilized in all sectors and industries today. Innovation in technology has brought us to a point where event management industry cannot function without it. One of the most common applications of technology in event management industry are scheduling and planning apps. Many of these apps serve specific purposes and some offer all-in-one solutions. For those who like those single-purpose apps over cumulative solution can use API to merge individual apps in one place for convenience. Using multiple apps and services might push event managers to constantly check multiple apps where an API can make it all available in one place and make it easier to manage. A huge majority of event planners use event management apps and according to a recent survey. They find them great to plan and manage events. These tools help to provide seamless collaboration between different teams saving time. Many apps also present actionable tasks in a priority based queue to allow planners to address matters of higher importance first. 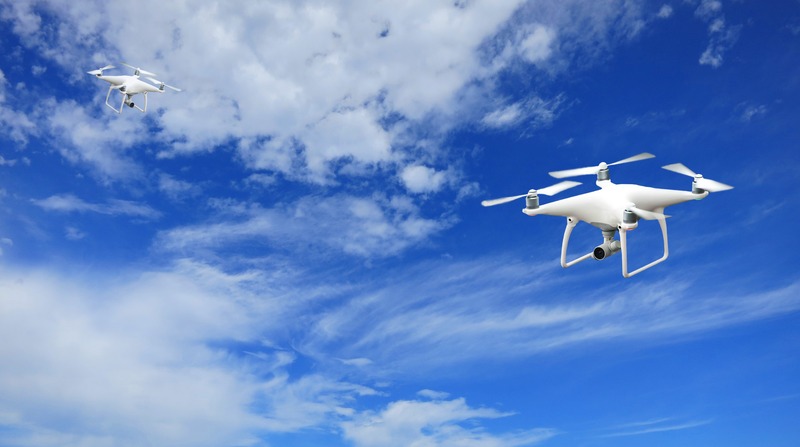 Drones can add to an event management company’s array of equipment. The obvious use of a drone is to see it as a flying camera but when it comes to event management, there are endless possibilities. But, check first with your local authorities for the right guidelines. Drones can be used for aerial photography and even for recording videos. Some models even offer live streaming of the video feed with amazing quality. Additional uses of drones include monitoring and surveillance against any unlawful activities at large-scale events like public fairs and music festivals. The desire to share interesting content, supporting a cause, or a fun and fulfilling experiences have made social media a rage among all sections of society. Social media is an awesome tool for promotion of an event and helps a lot in improving footfall. Additionally, social media is very effective at client acquisition. Email Marketing is another application of technology that can be highly effective in getting the word out there about an event. Drop information about your event in your next newsletter. Encourage your subscribers to forward the newsletter to others. Email invitations are a great use of technology in event management. RSVP management, ticket sales, polling features all improve event planning, making it easier to manage large events. An event planning and management company that embraces technology is destined to stay ahead of the competition and provide the best for the attendees of its events. If you are interested in learning other facts about using innovative tech that can be used in event planning, check out this infographic put together by Maximillion. Do you have more suggestions for technology use in event planning? Please let us know in the comments below. Happy event planning! Apps are easy to manage. Drones have limitless applications. They can be used to highlight the technology, goods delivery, entertaining etc. Social media is the most powerful tool for the event promotion. Email marketing and Email invitations make it easy to reach out the audience. I think we can’t avoid virtual reality and holograms in this list. Great Post Jennifer!! Really amazing information you have shared. It will definitely helpful for business management.